Tina and her painting partner were great to work with. They were early to set-up, and were non-stop busy from the beginning to end of our two hour event. They are so very talented and the participants at the event were appreciative of their creations. Tina was amazing :) This is the second time we've face painted with her, and they are like works of art! Everyone had a great time. Thank you!! Thank you so much! I'm glad I got to be a part of your daughter's special day! Twing's was awesome. 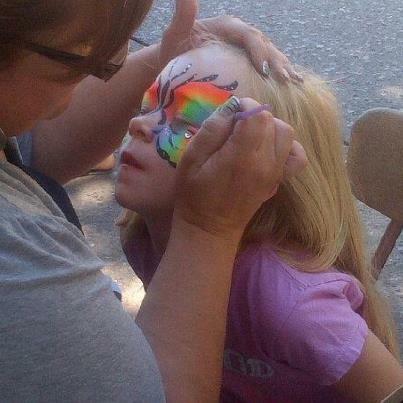 Everyone at the party loved the face painting. I was very happy with twings dsigns! She was very professional and friendly. She was really good with the children also. I would highly recommend her for any event. I will arrive early to set up my area. I will keep my space organized and will leave it as clean as it was when I arrived. I will be happy and attentive to the person I'm working on. I will have a variety of sample paintings available for customers to choose from. 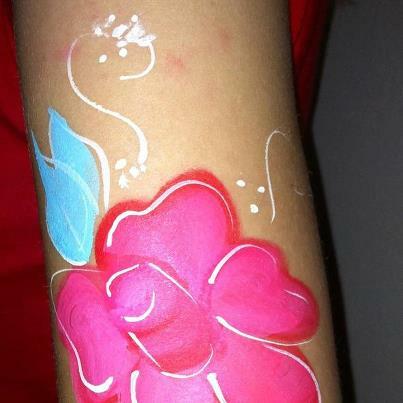 I love to have a good time and make sure that my customers are happy with their face painting when they leave my chair. 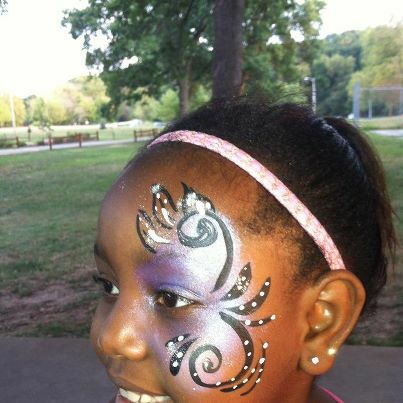 I am an artist who loves to create in all forms but I think I love face painting best! I recently decided to go forward with this crazy idea to face paint full-time! I enjoy the look on my customer's face when they see themselves for the first time in the mirror! I use all professional face paints and glitters. I can be hired for any of your upcoming parties or events! I look forward to working with you and creating lasting memories for all of your party goers! I will require an area to paint that can accommodate a crowd or line. I usually use one table and two chairs. I'm happy to bring my own if you do not have them available. I also require decent lighting so that I can see the images I'm painting. I'll bring images for customers to choose from. I'm a huge Lisa Joy Young fan!